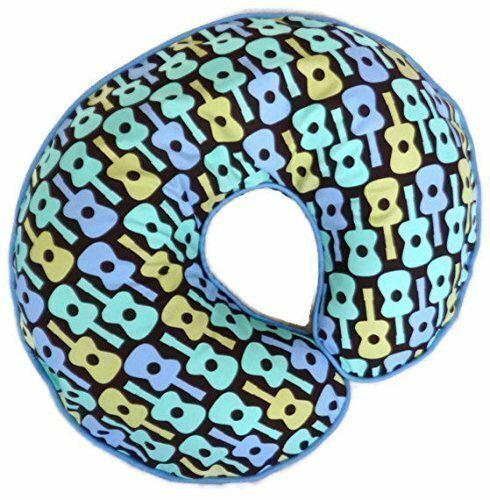 This nursing pillow cover is handmade using Michael Miller Boys Groovy Guitar cotton fabric featuring guitars in blue, green and khaki on the top side with a blue piping along the edge. The back of the cover is made from solid black fabric with a black zipper for easy removal. The cover is machine washable in cold wash and air drying is recommended. The nursing pillow cover is shown pictured on a Nursing pillow which is not included. The nursing pillow cover you will receive might be slightly different to one cover pictured due to the fabric repeat.